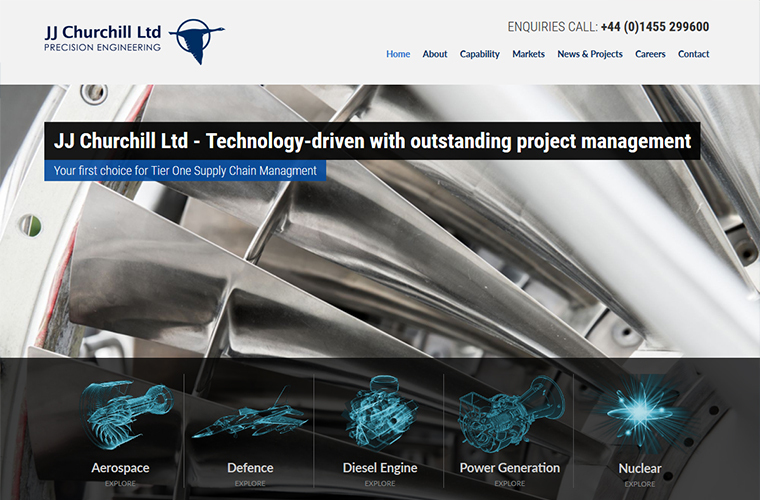 J J Churchill are precision engineers in the aerospace, defence, power generation and nuclear industry sectors. This existing client of Globalgraphics wanted a more bold, modern web presence. This great looking website design uses bold full screen images that have been edited to reflect the colours of the company’s logo. The website also quickly directs visitors from different industries to the most relevant pages. The majority of customers will now research engineering services on-line and then shortlist suitable companies from their websites. Having a great looking website that showcases your company has never been so important.